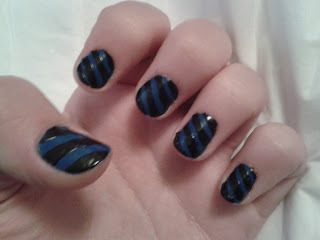 Again, this nail art was created with the use of some sellotape. Anyone else been creating nail art with sellotape? It's like a rebellious candy cane :D cool missus!